Beautifully crafted and loaded with luck, our new key ring is perfect for scratching to uncover those winning lotto numbers. 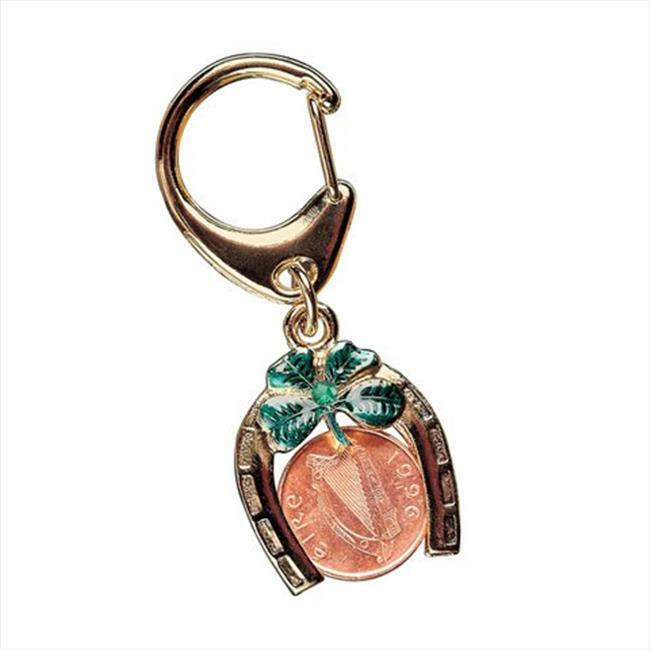 A traditional horseshoe, accented with a four-leaf clover, frames a bronze One-Cent coin from the Emerald Isle. Specially fitted to slide in the horseshoe, the lucky Irish Penny is always at your fingertips to uncover that winning number. As handy as it is charming, this delightful key ring arrives includes a Certificate of Authenticity.